With a goal of mimicking the mechanisms of the biological effect of low intensity laser radiation, we have measured the rates of oxygenation of chemical traps of singlet oxygen in air-saturated organic solvents and deuterium oxide upon direct (1270 nm) excitation of the 1Δg -> 3Σ g- transition in oxygen molecules. The data were used for estimation of the molar absorption coefficients of oxygen corresponding to this transition. 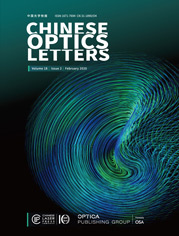 The obtained values were compared with the radiative lifetimes of singlet oxygen calculated from the quantum yields of singlet oxygen phosphorescence. The quantum efficiencies (the ratios of the photoreaction rates to the irradiation intensities) of oxygenation were compared upon porphyrin-photosensitized and direct oxygen excitation.